The Rolling Stones had no intention of recording an album of blues covers when they convened at British Grove Studios in London in December 2015. The plan was to work on original songs. It had been a decade since they’d released a studio album with new material—2005’s A Bigger Bang—and they had some ideas, finally, to kick around. After three days of warming up their chops with one old urban blues favorite after another, they’d forgotten about the new songs—they had their album. 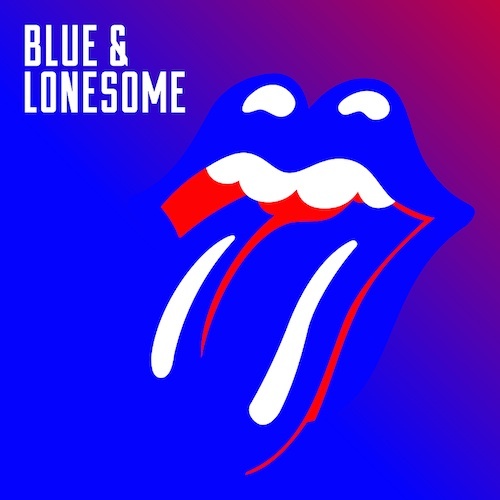 Blue & Lonesome is the Stones’ first-ever full-length album consisting solely of cover material: classics from the Chicago masters they worshipped as young men—Howlin’ Wolf, Willie Dixon, Magic Sam and, especially, Little Walter—filtered through five-plus decades of experience and insight. 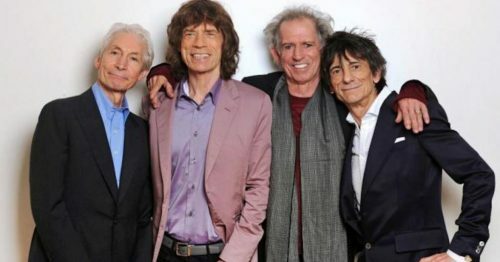 Now in their late 60s and 70s, the Stones have amassed more years individually than most of the artists whose songs they interpret on the dozen-track album, but as far back as 1963, when they covered a Chess label tune, Chuck Berry’s “Come On,” for their debut single, they were a credible (and sometimes incredible) blues band. That hasn’t changed: Depending on how much of a Stones loyalist/purist you are, Blue & Lonesome is likely to be the first album of theirs you’ll want to keep playing year after year since—what?—Exile on Main Street (1972) or Some Girls (1978), or at least Steel Wheels (1989). So little of the overproduced, unmemorable product they’ve turned out over the past few decades has had any staying power—always well performed and recorded, but no teeth. If you like your Rolling Stones raw and real—and wasn’t that the idea in the first place?—you’ll feel like Blue & Lonesome is a homecoming. It’s been a long time since they’ve sounded on record like they meant it. Here, on songs they had no role in creating, they mean it. Largely recorded live in the studio, sans overdubs, by the core band members—Mick Jagger, Keith Richards, Ronnie Wood and Charlie Watts—with Darryl Jones on bass and Chuck Leavell and Matt Clifford playing keyboards, Blue & Lonesome is a reminder of how inspired and inspirational the Rolling Stones can be. It’s gritty and rough and full of the blazing fire you hoped they still had in them. In the liner notes, Jagger says, “We could have done this album in 1963 or ’64 but of course it would not have sounded like this.” He’s right about that—Blue & Lonesome, despite its content and the hit-and-run recording method, does not scream retro. But though it may not be the Stones of the Crawdaddy Club (the site located just minutes away from the studio where they cut the new album), it’s as close as they’ve come to channeling that youthful, rhapsodic, often shambolic vibe in just about forever. Blue & Lonesome’s utter absence of pretense and glitz sounds almost alien at first: On “Just Your Fool,” the churning opener—written and recorded by Buddy Johnson for the Mercury label in 1953, later cut by Little Walter (who gets the writing credit) for Chess in 1959—the distortion level is so high you can see in your mind’s eye the needles on the console pinning all the way into the red. Was co-producer Don Was asleep at the knobs that day? Hardly. Where the Stones, on any other “recent” album, would have scrapped or scrubbed the take, here the classic rockers revel in its excess, allowing the sheer electricity of the performance to dominate and compensate. “Just Your Fool” crackles with exuberance: Jagger’s vocal is nuanced and wicked; his harp playing overrides even the jabbing, twin guitars. The rhythm section is locked in tight but swings (we’re talking Charlie Watts here, remember) and Leavell’s piano summons the ghost of Ian Stewart, who played the instrument on all of the Stones’ early recordings and helped them understand what the blues should sound like. It all bleeds together into one demonic slab of raunch and murk. There are 11 more where that came from. Three of those 11 are other Little Walter tunes: “Blue and Lonesome,” “I Gotta Go” and “Hate to See You Go.” Walter Jacobs was one of the defining harmonica masters in the world of blues, and Jagger studied and emulated him closely. You’d be forgiven for forgetting just how seriously Jagger can wail on the instrument—at least on songs other than “Midnight Rambler”—and to hear him take off on the breakneck-paced, fuzzed-out “I Gotta Go,” to punctuate his vocal with that harp while the band clamps down hard, is to remember all over again why the Rolling Stones had you from the start. The midtempo title track, meanwhile, is all about Richards and Wood—tossing out banshee licks like flicking specks of dust from their shirt sleeves, pecking at one another, dueling and chasing, all grime and nastiness. Jagger knows enough to stay out of their way—until he simply no longer can. There’s more than Little Walter, of course. Eddie Taylor’s “Ride ’Em on Down,” the latest single and video from the album, is primal roadhouse shuffle, Watts and Jones pushing and pushing, in obsessive lockstep; the back-to-back “Hoo Doo Blues” (Lightnin’ Slim) and “Little Rain” (Jimmy Reed) are, respectively, thumping/ornery and ethereal/otherworldly; Magic Sam’s “All of Your Love” is vintage South Side incarnate: danger and mystery and buckets of big ol’ badness. Lest we forget, Eric Clapton makes two appearances on Blue & Lonesome: “Everybody Knows About My Good Thing” (Johnny Taylor) and the album-closing “I Can’t Quit You Baby” (Led Zeppelin via Otis Rush via Willie Dixon). They didn’t bring him in—he happened to be recording in the studio next door so why not? Like the Stones themselves, Clapton has often forgotten that the blues was his foundation. But throw him back in headfirst and he remembers. The two tracks are old-fashioned cutting contests on an album where soloing is an afterthought, jams that can teach the jam-banders a thing or five. These guys have known one another for a long time; these are their war stories being told once again, with more exaggeration than the time before. If Clapton, who handles the slide with such ferocity on the former track, has played the blues this believably in the past few decades, this listener must’ve missed it. If the Stones aren’t going to do the right thing and make Mick Taylor a full-time member again, maybe they should recruit this guy. That leaves two: “Commit a Crime” and the Dixon-penned “Just Like I Treat You.” Both were learned from Howlin’ Wolf, arguably the Stones’ greatest role model. Towering in every way, Chester Burnett was menacing and gruff and quite convincing when he opened his mouth to sing. But there was a vulnerability and easiness beneath all that, and Jagger, especially, long ago mastered that balance. Here, on both tunes (the first written by Wolf himself), he glides atop the music, not merely singing a lyric as partaking in a ritual of storytelling, imparting wisdom through tales. He knows this music, the other people in this room know it just as well, and their rediscovery of it is a beautiful thing. Related: When the Stones brought Howlin’ Wolf on to TV’s Shindig! The blues is a language, one in which the Rolling Stones demonstrated their fluency a very long time ago. Perhaps they hadn’t seen a need to speak it very often as their lives and art went in other directions, but Blue & Lonesome is proof that the lessons paid off. If they never do get around to finishing that other album, it won’t much matter—this one, completing a circle, would be the ideal way to bow out.